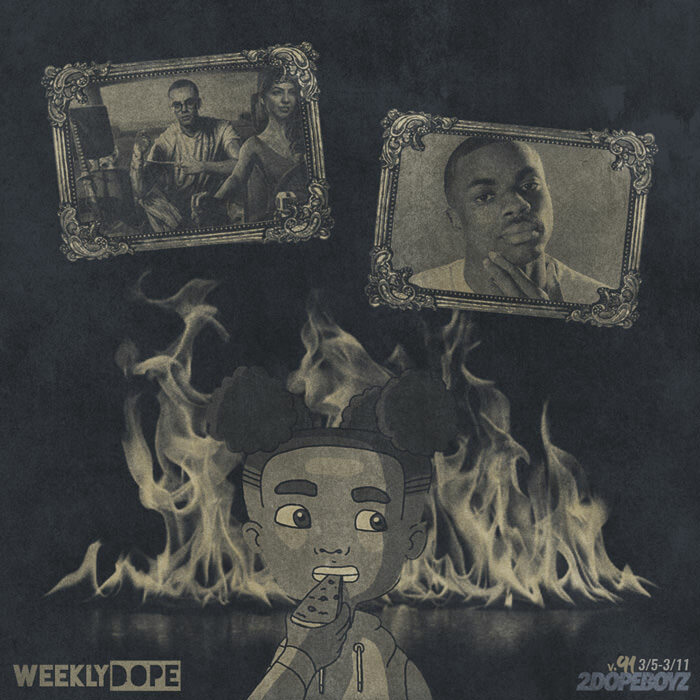 On the artwork for the 91st installment of our ongoing Weekly Dope playlist, we ran with a handful of artists—including Arin Ray for his super smooth Platinum Fire album, Tobi Lou and Smino for their infectious collab (and hilariously awesome video for) “TROOP,” Logic for his Bobby Tarantino 2 mixtape, and Vince Staples for owning the highlight of the week with his outrageously brilliant “GTFOMD” GoFundMe campaign. On top of that, we got projects from Jeremih, Page Kennedy, and Save Money’s Brian Fresco (who invited all of Chicago, including Chance the Rapper and Vic Mensa, to contribute). MURS, Bishop Nehru and Kooley High teased their upcoming projects with new singles. Joey Bada$$ dropped a pair of tracks, including a freestyle with XXXtentacion. 2 Chainz was a guest on a few records, Mistah F.A.B remixed “Thug Tears” with Rick Ross, Philthy Rich and Mozzy, Anderson .Paak returned, and T-Pain remixed Cardi B‘s latest single. Plus new music from Lil Wayne, Raekwon, Ghostface Killah, Wale, Buddy, A$AP Ferg, and others.